Ashok Bajaj is pleased announce that his landmark power dining restaurant, the Oval Room, will introduce a three-course tasting menu beginning Friday, March 24th that will be available throughout the summer months. Priced at $55 per person, or $75 (excluding tax and gratuity) with three wine pairings, Executive Chef John Melfi will delight guests with his innovative seasonal menu, which will change weekly. 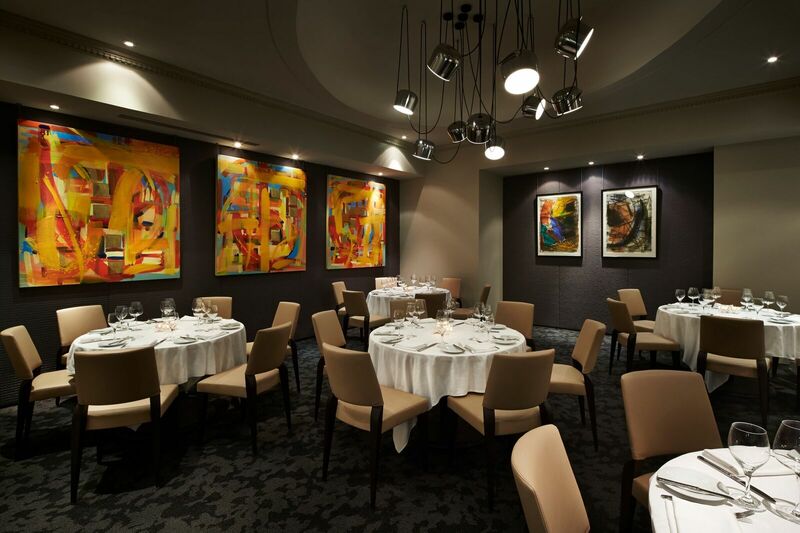 Guests will also appreciate the Oval Room’s stylish interior, which showcases bold art pieces, theatrical lighting, and plush fabrics set against expansive windows. Weather permitting, this dinner offering can also be enjoyed on the lovely landscaped patio. Guests will begin their meal with a choice of tempting appetizers including Burrata with shaved globe artichokes, fresh picked herbs, meyer lemon, and brioche tuille, paired with Albariño, Nessa 2015, Rias Baixas, Spain, or Crispy Lamb Belly Confit with charred eggplant purée, local spinach, and black olive tapenade, paired with Pol Roger Brut “Extra Cuvée De Reserve” NV Champagne, France. For the entrée, one can choose from Espelette Crusted Yellowfin Tuna with piquillo pepper romesco, charred fennel, orange, and chorizo vinaigrette, paired with Pinot Noir, Klee 2014, Willamette Valley, Oregon; Pan Roasted Venison with avocado purée, spring onions, crispy salsify, and huckleberry jam, paired with Zinfandel, Scott Harvey 2013, Amador County, California, or Smoked Yellowfin Potato Agnolotti with maitake mushrooms, melted leeks, aged pecorino, and spring garlic soubisé, paired with Barbera d’Asti, Damilano 2013, DOCG Piedmonte, Italy. For a sweet finish, there is Mango Panna Cotta with toasted coconut, raspberry emulsion, and guava-lime sorbet, paired with Tokai, Late Harvest Furmint, Oremus Tokaji, Hungary 2013, or La Bete Noire with white chocolate mousse, toasted pistachios, and Amareno cherries, paired with Amaro Montenegro Bologna, Italy. Located step from the White House, the award-winning Oval Room features modern American cuisine. Noted as one of Washington’s top power dining locations, the restaurant is open Monday through Thursday, from 11:30 AM to 10 PM, Friday, from 11:30 AM to 10:30 PM, and Saturday, from 5:30 PM - 10:30 PM. For reservations, please call (202) 463-8700 or visit the website at www.ovalroom.com.